One of the most powerful aspects of music is without a doubt the way it can make us feel different emotions. There are songs which allow us to dream, to dance, to feel happy. And then there are songs that tug on our heartstrings, because they address the feelings we might want to hide. Or because they bring up memories we wanted to forget. Or because they are more honest than we wanted to be. There are so many reasons why music makes us feel certain feelings and house in the sand is a platform for songs that have that special ability to transport us into different moments of our lives. Today we're excited to feel some heartbreak with you guys. But you'll love this song. Violetta Zironi is singer/songwriter from Italy. In 2015 she met singer/songwriter Jack Savoretti and got to be his special guest on tour. She recorded her debut EP, "Half Moon Lane", in Berlin and has received a lot of attention for the six track EP. Just recently Violetta released her latest single, a stunning duet with Ed Prosek. 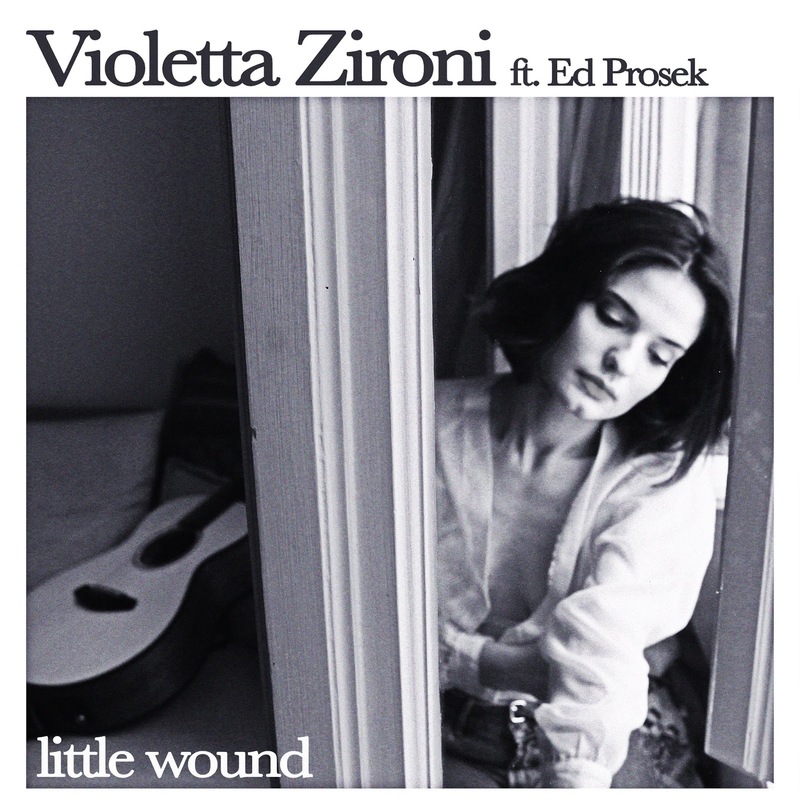 ""Little Wound" is a song I wrote with an American singer/songwriter, my friend Ed Prosek. We tried to write an emotional song, that told a story with both, the lyrics and the melody. It talks about that feeling you get at the start of a relationship, and somehow you grow fond of that feeling more than of the person you are engaging with. It's a confession of guilt. We decided to put ourselves in the shoes of the "bad one" in the relationship, telling the other person that we are sorry, but this is just what we are, although it doesn't mean we don't love the other. I came up with the concept of having a little wound on my heart, that it's almost imperceptible but it's there and it's part of me. Ed and I decided to record it as a duet, to celebrate the start of our writing partnership. We recorded it live at home - literally with three mics; one for my voice, one for his and one for the guitar. We love recording live as we feel the vibe doesn't get lost. It's definitely a step forward in my artistic development, compared to my previously released EP, "Half Moon Lane", but it's definitely the continuum of my last single "One More Goodbye". I tried to portrait myself in those songs, be honest and show who I am. I am definitely a melody freak. I love melodies more than anything else and I prioritize it. The challenge after is to find lyrics that have the same impact as the melody. I usually write the melody first and then the lyrics, because melodies trigger concepts in my head. There is a video for "Little Wound" and it's me and Ed performing it live and stripped down, exactly like we wrote it and recorded it."